Hello Everyone! 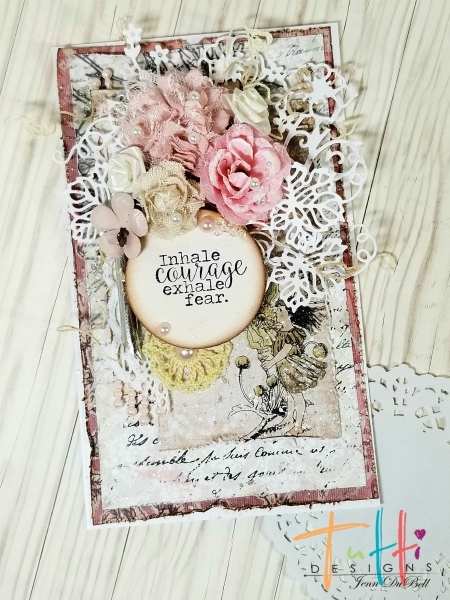 Jenn here today to share this pretty, shabby chic styled card using the amazing Tutti Designs Dies! 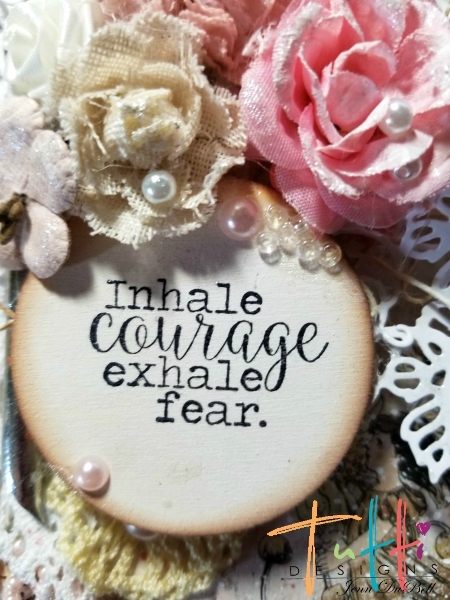 I just love the sentiment on this card and thought it would be great as an encouragement card! 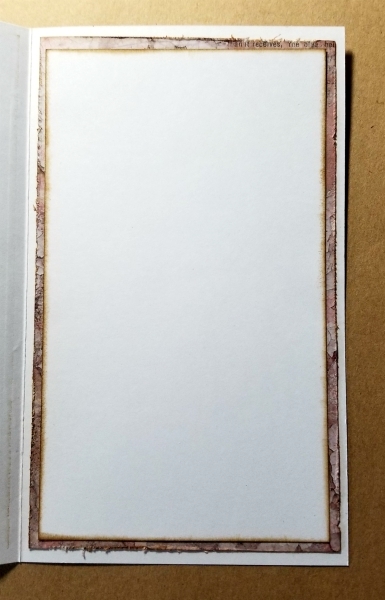 The inside of the card (shown below) is two cut sheets of paper, inked on the edges with distress ink and layered using a tape gun. This card started as a sheet of white heavy cardstock cut to 8 1/2" X 7". folded in half and burnished. The inside papers are one designer paper cut to 4" X 6 3/4" and white cardstock cut to 3 3/4" X 6 1/2". I like to complete my card insides first so that the front does not get bent when opened. The front was layered with scrap designer paper that was distressed and inked on the edges. White acrylic paint was splattered lightly. Next the flowers and die cuts were added at different levels to create the dimension seen. 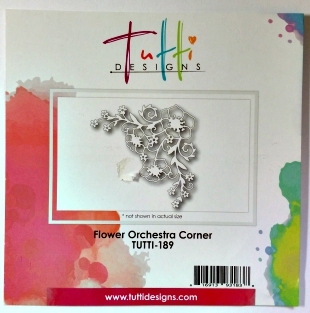 White acrylic paint was dry-brushed over the embellishments and then mini glass beads and small pearls were added. 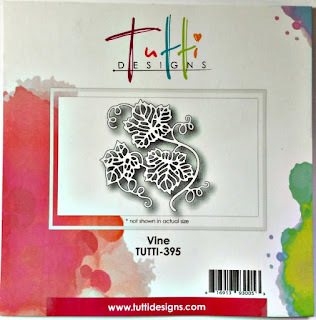 Just look at the beautiful detail of the vine die here! Gorgeous love this, so pretty! Oh Jenn this is just GORGEOUS!! 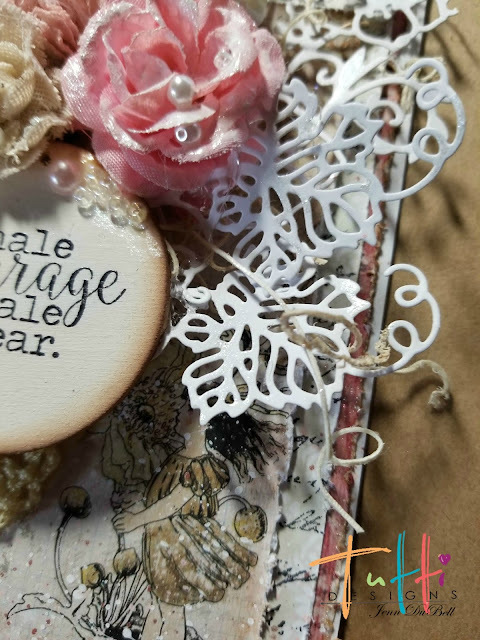 I love this style and you've used these dies beautifully! Great sentiment too! Well done ... awesome inspiration and instruction! Thanks! Beautiful! Your detail always amazes me!